For any qualified program, the Booster Club will provide a 10% rebate of the base general fund contributions for the membership year when it can be demonstrated that 80% of the families with students in that program have joined the Booster Club and paid their membership fees. 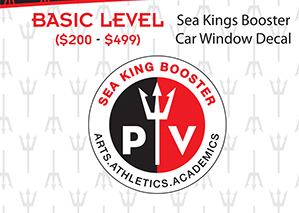 For the purposes of this membership incentive, a qualified program is any team, club or organized group recognized by the school administration with an ASB account. The base general fund contribution is the minimum donation required by any member in order to qualify for membership status (currently the first $200 of every membership contribution). In the current membership year, a 10% rebate of the base general fund contribution calculates to $20 per membership. Once achievement of the incentive is verified for any qualified program, the incentive will be paid to ASB to be deposited into the account of that program to be used at their sole discretion. Proof of achievement of the incentive lies with the representatives of each qualified program. This can be accomplished by comparing the roster of program participants with the members listed on the booster club membership page and providing the comparison and participation percentage calculation to the appropriate booster club chair for Academics, the Arts or Athletics.